It's good to be back after a long time. I waited for the day to be on this section of the forum " Thanksgiving", and I am so ever grateful to my Almighty Baba in making this moment happen. Two of my major problems came to an end by none by my Baba's grace and blessings. Baba I will continue to count my blessings every single day and try my best to follow the ways shown by you. I owe you everything, my heart, my soul and my life. 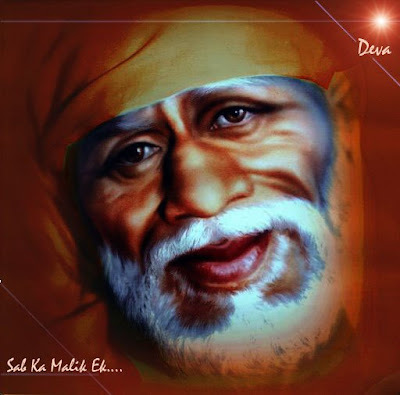 I am forever indebted to you my dear Baba. Also Thanks Thanks and Thanks to my dear family members, who gave me the confidence and fortified my faith in him. Im very happy to know that BABA has solved your problems. He will surely solve your future problems too. May BABA always keep you happy like this. On this auspicious day it is really a pleasure to read your mail. Baba will always bless and grace you. Deepa, dearest, what a joy to read your post! May you always feel BABA near the way you felt HIM now. I know you will. And may you always feel HIS blessings showered onto you. After a long time Deepa dear! Yes! You are right HE is great. But I would like to add est in Great. HE IS GREATEST OF GREATS. If one have total faith in HIM than not only major problems gets solved but not a single problem comes near you. HE makes you problem proof. You will become problem for problems itself. These are my convictions. Yes! this is the way to live life....Start counting your blessings! Yes Deepaji, BABAJI IS REALLY GREAT. 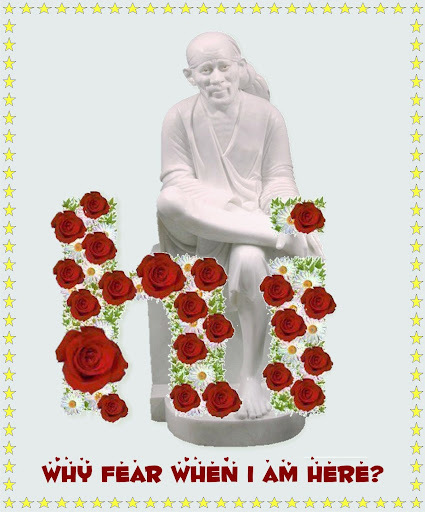 MAY BABA BLESS YOU ALWAYS AND MAKE YOU FEEL HIS LOVE FOREVER. Feels good to hear from you all again. Ramesh Ji, your words are very true and very funny at the same time.."imagine being a problem for problems"..lol! Yes I must add the "est" there for sure. He is no doubt the greatest. Astrid JI, you rightly (to one of earlier messages about "faith") said that Faith does keep changing it's form and however it feels, it should not be doubted. Now I really understand what you meant. Thank you. BABA Is not only great !!! HE IS "THE GREATEST"
BABA YOU ONLY KNOW YOUR LEELAS. Page created in 0.367 seconds with 51 queries.